The Best Retro Gaming blogs from thousands of top Retro Gaming blogs in our index using search and social metrics. Data will be refreshed once a week. Also check out Top Retro Gaming Youtube Channels list for Top videos on Retro Gaming. Retro Gaming newsletter is a comprehensive summary of the day's most important blog posts and news articles from the best Retro Gaming websites on the web, and delivered to your email inbox each morning. To subscribe, simply provide us with your email address. Minus World About Blog The original classic gaming podcasts continues its endless quest to explore the history of video games, one game at a time. Join hosts Jeremy Parish and Bob Mackey each week as they team up with a host of expert guests to chronicle the creations that have paved the way for today's hits. Facebook fans 4,530. Twitter followers 12,442. Melbourne, Australia About Blog The Australian Retro Gamer E-Zine is an independent video games website committed to spreading the nostalgic vibe of retro gaming culture across the known universe. Mission is spreading the nostalgic vibe of retro gaming culture across the known universe. Facebook fans 2,469. Twitter followers 28,336. 378 E. State St., Salem, OH About Blog Retro gaming, plain and simple. Facebook fans 25,626. Twitter followers 1,855. United Kingdom About Blog The UK's No.1 Retro Gaming Podcast. Curating gaming culture for future generations. The new show would focus on the guys main passion, namely the games that they had grown up with. Unlike other “retro” focused shows that were around at the time, Retro Asylum looked at the scene from a UK prospective. Facebook fans 1,503. Twitter followers 14,694. About Blog Celebrating the Art of Gaming Focusing on Nintendo, Pokemon, Super Mario Bros, Legend of Zelda, and more classic video game franchises. San Francisco, CA About Blog For those of us who still love the golden-age of video games, before it was all about the graphics. Atari, Intellevision, ColecoVision, Vectrex, Sega, Nintendo, DOS, and more. It's all good here as long as it's gaming from the 70s, 80s, or 90s. Facebook fans 1,157,170. Twitter followers 516,575. About Blog Retro Games Collector is the brainchild of Ant Harper who has been gaming since the mid 70s. Ant is currently the curator of a large and varied (and growing) retro gaming collection of his own but specialises in Sinclair and Acorn computers. Facebook fans 1,083. Twitter followers 58,176. North Carolina About Blog The Retrogaming and Retrocomputing Blogazine since 2005. Adventures in vintage computers and retrogaming. Includes articles on classic games and obsolete computers. Bay Area, CA About Blog Pixelated Audio is a bi-weekly podcast that focuses on video game music & retro games that span across multiple platforms in an attempt to bring music, history, awareness and some of the gaming culture to people that share a similar passion. Sit back and enjoy the magical sound shower. Facebook fans 522. Twitter followers 1,391. About Blog "RGDS Podcast" is a retro gaming podcast for retro gamers by retro gamers! We cover everything from the 8bit days all the way up to modern indie retro inspired games. About Blog Retro-gaming on the Raspberry Pi. RetroPie is a system to install/configure emulators on an existing OS – The RetroPie Setup Script is released under the GPL. Facebook fans n/a. Twitter followers 3,426. About Blog Genesis Gems is a retro gaming podcast focused on the Sega Genesis console. Family friendly, fun, and goofy! Facebook fans 1,205. Twitter followers 311. Michigan, USA About Blog Racketboy is an independent video game site that caters to the old-school console gamer and their unique gaming lifestyles. Facebook fans 2,589. Twitter followers 2,440. London, England About Blog Vintage is The New Old is all about Retro Computing and Retro Games. The website offers daily news, featured articles and much more to help you go down the memory lane! Facebook fans 943. Twitter followers 13,495. United States of America About Blog Armchair Arcade is an award winning all eras videogame, computer, and technology Website that caters to every level of gamer, electronic entertainment enthusiast, and technophile. Our ongoing mission is to chronicle the complete history of videogames, computers, and all other types of technology as they continue to impact and enrich our lives each and every day. Facebook fans 483. Twitter followers 9,731. The 90s About Blog Play FREE retro videogames online with our powerful emulator: SNES (Super Nintendo), NES (Nintendo Entertainment System), Game Boy, Genesis (Megadrive), Master System 2, NEO GEO, Arcade and much more. Long live classic videogames! Facebook fans 4,906. Twitter followers 117. Worldwide About Blog RF Generation, the Classic and Modern Gaming Databases. Over 80,000 game entries and 5,000 hardware entries, in addition to over 100,000 game and hardware images with more added daily! Are you a collector? Try our collecting tools, or just chat in our forums or blogs. Whatever you do, don't just tune in, keep yourself glued to channel 3! Facebook fans 185. Twitter followers 237. Barcelona About Blog Xtreme Retro is actually the spiritual continuation of Old School Generation ; a web where the birth, development and apogee of what began as a mere pastime and has led to current cyberculture is related. Page specialized in retro games, which includes analysis, reports, articles of the most varied, and a long etcetera. Facebook fans 3,490. Twitter followers 2,018. Sweden About Blog Blog by Heidi and I've been collecting video games for well over a decade. I run a blog where I share my passion for retro video games and also review some of the games. Facebook fans 683. Twitter followers 8,093. Retropolis About Blog Hi, I'm Matej 'Retro' Jan and I draw pixel art and develop Pixel Art Academy, an adventure game for learning how to draw. Facebook fans 3,971. Twitter followers 7,202. About Blog Dedicated to the gamer who enjoys everything from Arcade Games to playing to the gamer reliving his childhood and passing it on to the next generation. Facebook fans 440. Twitter followers 15. About Blog The Old School Game Blog is basically about everything related to retro gaming. Here you'll find reviews of classic games and hardware, News and comments concerning retro-related projects, Thoughts and opinions about the past and present in the world of gaming, Coverage on everything that has to do with my all-time favourite computer, namely the Amiga. United Kingdom About Blog Any Button Gaming is a gaming website in the United Kingdom, providing our readers with news, game reviews, competitions and much more! Facebook fans 197. Twitter followers 551. About Blog 1UP RETRO, first and foremost, is about celebrating our love of retro video games.We hope to share our love of gaming with all of you through our latest video game products, game play videos, reviews, walkthroughs, and more. Our mission is curate the best retro products for today's gamers and deliver them with distinctively awesome customer service. Facebook fans 191. Twitter followers 7. Hometown Town About Blog The Well-Red Mage leads a writing team specializing in long-form analysis on gaming of all eras. Let's save journalism & discussion! Facebook fans 63. Twitter followers 730. Colwyn Bay, North Wales About Blog Retro Garden is a website dedicated to reviewing old games for a multitude of systems. Here you will find Retro Gaming & Video Games Reviews, News and Features and more about all things retro gaming. Facebook fans 73. Twitter followers 188. The Planet Irata About Blog Retro Gaming Roundup monthly podcast dedicated to all things retro gaming. Consoles, arcade games, pinball machines and everything in between. And catch our monthly exclusive interviews from legendary video game designers & programmers. Facebook fans 3,056. Twitter followers 1,674. XBL: Naryan PSN: Naryan About Blog That Retro Video Gamer is an independent gaming website that is dedicated to those of us that love retro gaming, but still dabble in the latest formats. Facebook fans 582. Twitter followers 3,870. About Blog Blog by Jeffrey Wittenhagen writer, avid retro collector and gamer. Since the early 2000s I have ran a few different content based websites such as vgMastersClub, Hagen’s Horror Haven, Serial Slasher Inc. and contributed to Retrogaming Times Monthly for many years. Now I write many books of various unique styles, typically on retro video games! Facebook fans 5,611. Twitter followers n/a. About Blog Sharing My Retro Video Game Collection. Here you’ll find a complete listing of games I’m currently playing and collecting. As well as other things that keep me engaged with this hobby; such as modifying and restoring hardware. Greensboro NC & Florence SC About Blog We buy, sell and trade video games and systems. If you want to play it there is a good chance we have it. Games and systems from Atari to the PS4 and Xbox One! Facebook fans 12,568. Twitter followers 114. United Kingdom About Blog An Online Retailer of Retro Video Games, Consoles and Modifications. Enjoy the latest retro gaming news relating to consoles, games, accessories and much more. Facebook fans 102. Twitter followers 167. About Blog Oldschool games and classic retro gaming from yesteryear! Talking about retrogames, posting pics of memories gone by, and operating an online game store, all without a net. We help retro gamers around the world find their missing gaming memories. Facebook fans 1,209. Twitter followers 4,312. San Diego, CA About Blog VideoGameMuseum, we know that most retro video game collectors are essentially creating their own personal, mini museums. Our goal as VideoGameMuseum.com is to promote retro gaming, collecting, and game preservation techniques as well as to provide top-quality tools, games, systems, and accessories to our fellow retro gamers worldwide. Facebook fans 1,779. Twitter followers 3,262. Los Angeles, CA About Blog RetroGame not only provides tutorials on how to build your own handmade gaming consoles, community discussions on the best retro games you may or may not have played, but we even sell our own powerful and customizable consoles. Our mission is to be the most professional and definitive source for custom-made retro game consoles, with the best customer support available in the world. Facebook fans 223. Twitter followers 3,481. Los Angeles, CA About Blog Retro Game Club is an independent, family-owned business specializing in everything related to retro gaming! Our mission is to be the most professional and definitive source for custom-made retro game consoles, with the best customer support available in the world. Facebook fans 223. Twitter followers 3,476. Brisbane, Australia About Blog Retro gaming comics about classic Nintendo, Commodore, Sega, Atari and arcade video games! Facebook fans 272. Twitter followers 1,571. Austin,TX About Blog An annual RETRO gaming convention celebrating the world of classic video games. Retro game tournaments, concerts, speakers, costume contests, & more! Facebook fans 22,418. Twitter followers 1,327. Santa Cruz, CA About Blog Level Up Video Games is the newest and coolest video game store in Santa Cruz. Our Trade-in values are unbeatable guaranteed and we carry an amazing selection of retro and next gen video games. Level Up Video games is a cool and original game store like no other game store you have ever seen. Facebook fans 2,480. Twitter followers 204. About Blog Retro Dustbin is a retro gaming blog that provides reviews, pickups, news and more. The team loves old games and loves to talk about them. As they get new games or just play their old favorites, it will be chronicled on the blog. Facebook fans 215. Twitter followers 1,646. Miami Beach, FL About Blog This is a site dedicated to retro gaming in particular but it'll have other things as well. We are open minded to all sorts of gaming included non-video gaming. Facebook fans 2,430. Twitter followers 1,120. About Blog Are you a retro gamer? Fair Game Retro Video Games carries all your favorite games and consoles from Atari through current generation consoles. We also buy games and systems. Get cash for your games! Facebook fans 10,557. Twitter followers n/a. About Blog Love Retro Gaming? Come on in! We have new reviews and articles, as we're exploring our experiences of the 80s / 90s playing classic video games! I intend to provide reviews of actual retro games and also reviews of indie games that either have been inspired by, are based on, or just have the flavour of a retro game. Facebook fans 32,175. Twitter followers 5,299. About Blog I mostly talk about old games on this blog, but I sometimes make posts about other things having to do with video games as well. Just whatever happens to be on my mind. About Blog MyGamerXP is all about my gaming experiences, both retro and the current generation in the form of video reviews, opinion pieces, informative research and the gaming community. Facebook fans 265. Twitter followers 8,649. About Blog Insert-Disk is a personal project to share my love of video games and retro technology collecting with other enthusiasts. A website dedicated to remembering older games. At the moment we are concentrating on the 16-Bit generation. Facebook fans 20. Twitter followers 15. About Blog The Retro League is a podcast that covers all things retro gaming. Each week we talk about the latest retro gaming news and share our favorite games from the 70s-90s. Facebook fans 776. Twitter followers 1,582. South West, England About Blog A blog that reviews classic video games, interviews industry developers and documents the changing medium of games. Here you’ll find reviews, interviews and how to play all encompassed in a variety of media. Japan About Blog An old Japanese video game console sits in my living room and I write things about it. Blog about the Famicom, retro video games, retro Japan, and 80s stuff in general. Vila Nova de Gaia, Portugal About Blog Retromania is a news portal and forum dedicated to the Portuguese retrogaming community, with a special focus on retro computers: Zx Spectrum, Commodore 64 and Commodore Amiga. Vintage computers and retro consoles. Facebook fans 132. Twitter followers 37. About Blog Retro video game nerd with a love of nostalgia and all things gaming. My aim is to relive and replay the video games of my childhood while also discovering all new retro consoles and games that passed me by in the early days. Blog by Naoise O’ Hare. About Blog Retro games reviewed and compared as unbiased as possible by a Finnish guy, and occasionally helped by his friends. About Blog Here i share my and another retroguys’ idea, Modding, tips and other retrothings. About Blog A new blog about old videogames. Here you will find my experiences in gaming over the past years almost 40 of them! As well as the new things I’m continually discovering about old games. Facebook fans 55. Twitter followers 12. Victoria, Australia About Blog Yo! My name is Robbie. And I’m an avid Aussie retro games lover. Join me as I fumble through this blog thing and rattle on about games and stuff that I like! St. Louis, MO About Blog Blog by Breinij. Music, film, book, sports & retro game lover! Random list generator. Creator of Cartridge Corner blog & contribute retro game reviews. Vintagetech Town About Blog Retro Treasures is the daily resource of retro gaming pleasure both for the collector and the nostalgic or historically inclined gamer. Discovering retro gaming oddities, rarities and bargains. Facebook fans 839. Twitter followers 144. Ireland About Blog Arcade Pie is an all-in-one retro gaming console. Arcade Pie will play all of your favorite retro games on your HDTV - from the Atari 2600 to the PlayStation. You can now see how good you really are at these classic games! It also supports multi-player for up to 4 people so you can game with friends to see who is the ultimate retro gamer. Facebook fans 618. Twitter followers 38. Kilmarnock, Scotland About Blog My aim is to share video games news stories,reviews of video games & console’s as well as other things related to gaming such “how to’ guides. Facebook fans 105. Twitter followers 177. About Blog Updates to the Retro Gaming Collector website, and additions to the collection of vintage computers, retro games onsoles and handhelds. Melbourne About Blog Everything about retro gaming. About Blog Welcome to my retro gaming blog. If you are anything like me, and prefer old school gaming over modern games, you'll find something of interest. I hope you enjoy reading this! 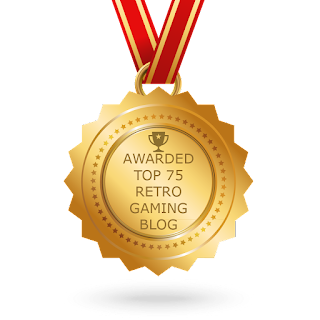 CONGRATULATIONS to every blogger that has made this Top Retro Gaming Blogs list! This is the most comprehensive list of best Retro Gaming blogs on the internet and I’m honoured to have you as part of this! I personally give you a high-five and want to thank you for your contribution to this world.